​Manchester City's midfield wizard Kevin De Bruyne has had a go at recreating an award-winning FIFA 19 goal and, as expected, he has absolutely smashed it. As part of ​EA SPORTS' 'Goals Recreated' series, FIFA players were encouraged to share their best goals scored in any FIFA 19 game mode with De Bruyne via social media, with EA selecting a winner, who was offered the chance to meet De Bruyne and see him try to recreate the goal on the pitch in real life. 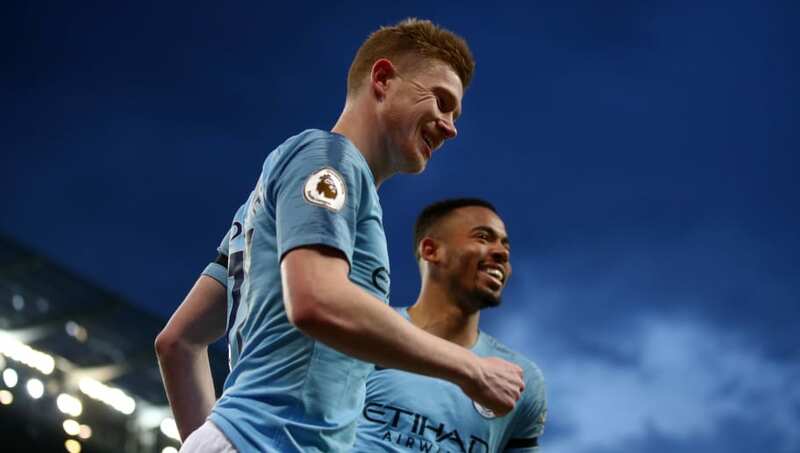 Ahead of ​C​ity's Champions League quarter-final tie with ​Tottenham, De Bruyne had a go at reproducing a spectacular volley, with social media star Braydon Bent playing defence, and he got there on the fourth attempt.